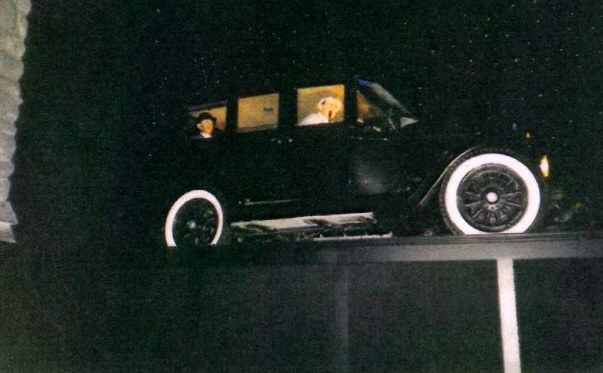 Opened in 1995, It featured animatronic figures.This show explained the 1920's and the Capone story from beginning to end. The museum was closed for many reasons. 1) It didn't make the owners the money projected. 2) The owners were offered more than what they had paid for the property. 3) The protesting by the Italian community of Chicago, who was upset at the glorification of a criminal. They had opposed the project from it's inception and during it's short existance. The city and Mayor Daley was quite happy to see it go. Duhh? Let's pretend he never existed! Yeah right!! 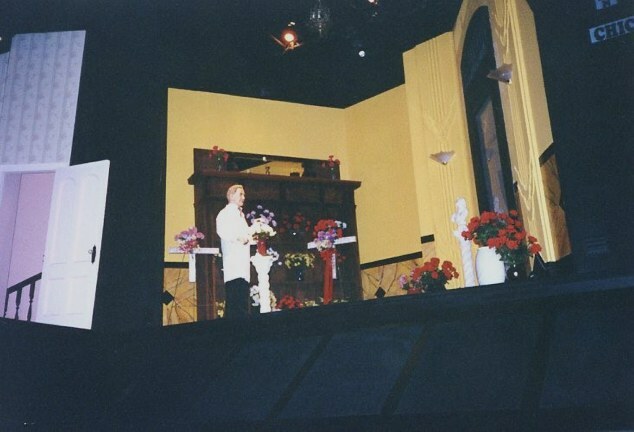 The collection featured in the museum belonged to Michael Graham. 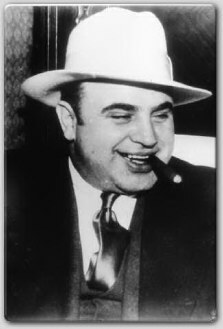 He had appeared on the Today show with Al Capone's famous cream white Borsalino. See below. 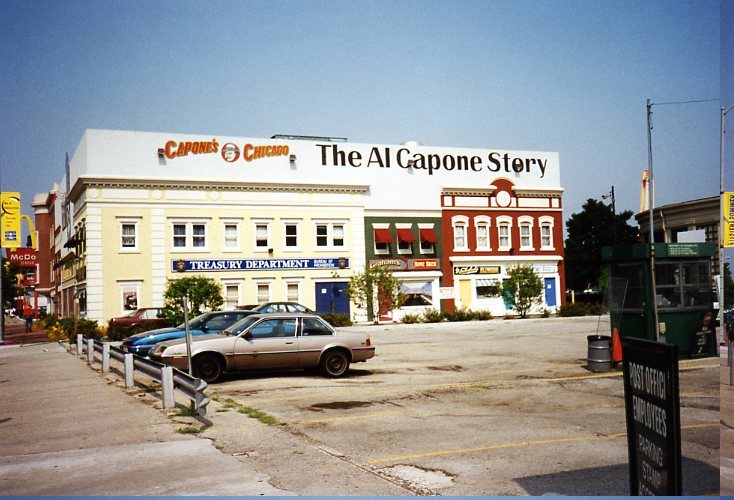 Advertising for the newly opened Al Capone museum. Funny sign posted outside the Chicago museum stated that Florida had a big mouse (Mickey) and they in turn had a big rat. 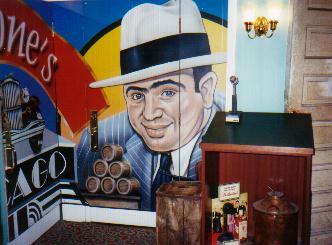 Capone's Chicago. 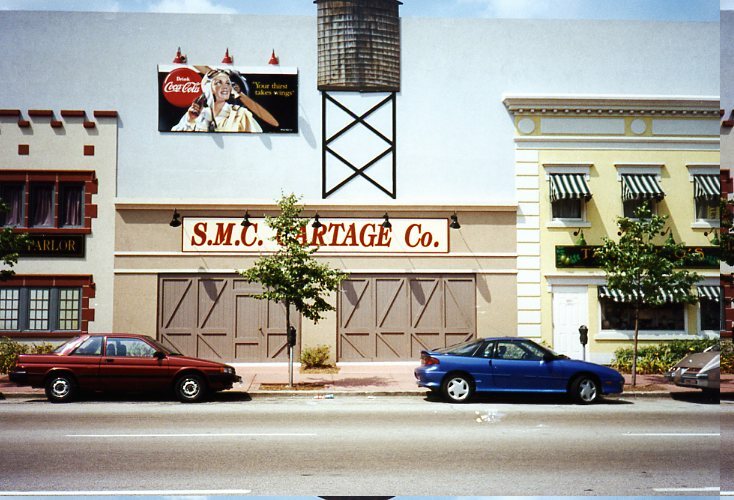 The museum had various gangster era motifs on it's exterior. 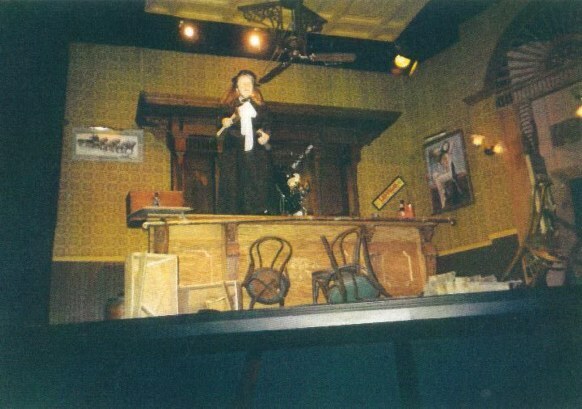 Carrie Nation smashing a tavern. 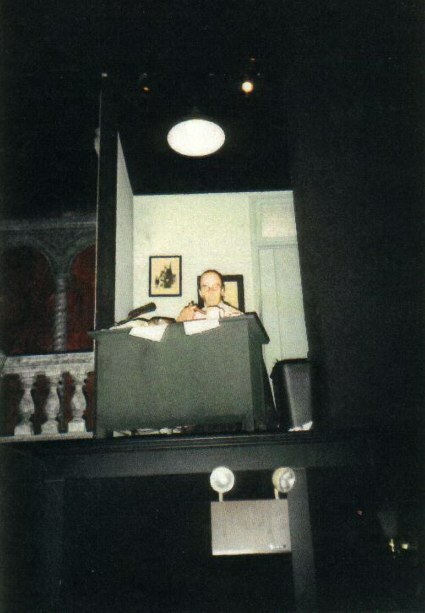 Al busy at work behind his office desk in the Room of Doom. Gangster out on a hit. 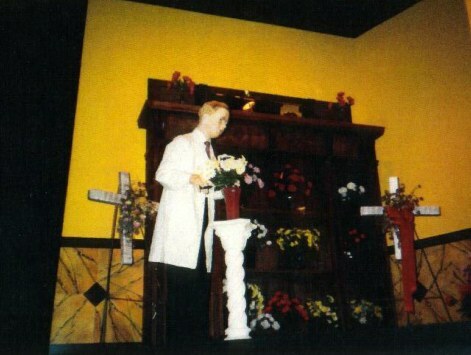 Dean O' Banion in his flower shop. 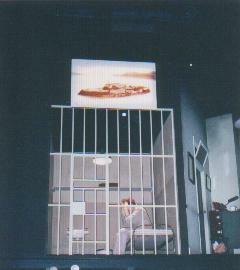 Frank Wilson working in his cramped office to nail Capone on income tax charges. 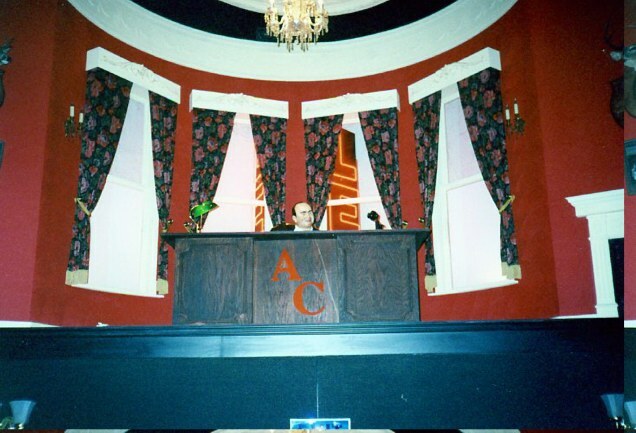 Capone's Chicago's depiction of Al in court. 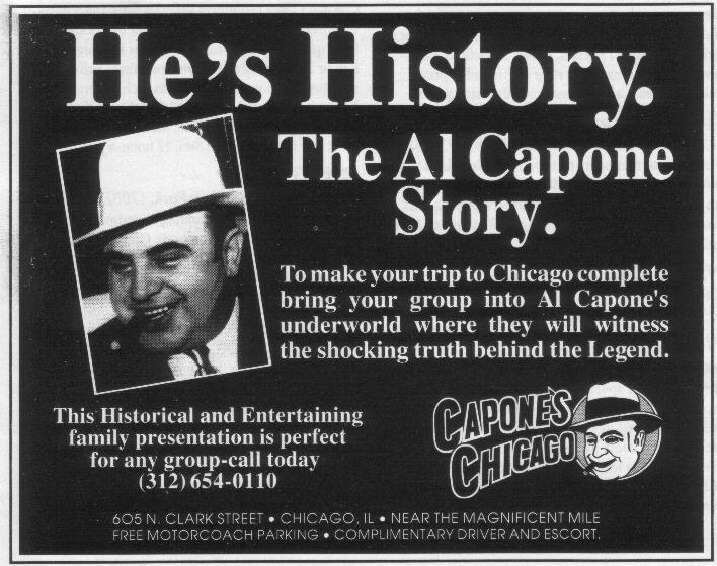 One of the main attractions featured in Capone's Chicago was Al's famous hat that he wore on the train enroute to Atlanta. 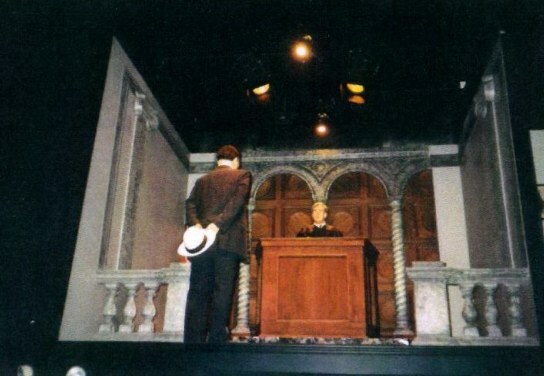 Sadly, the hat is no longer in Michael Graham's possession. 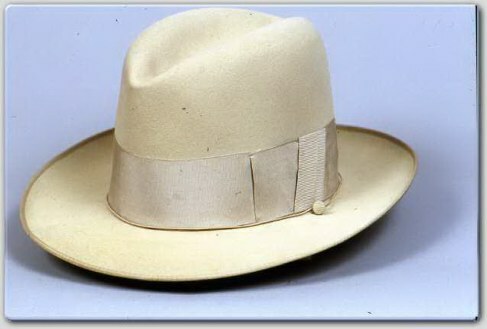 Someone informed me via email that this hat is now somewhere in storage. 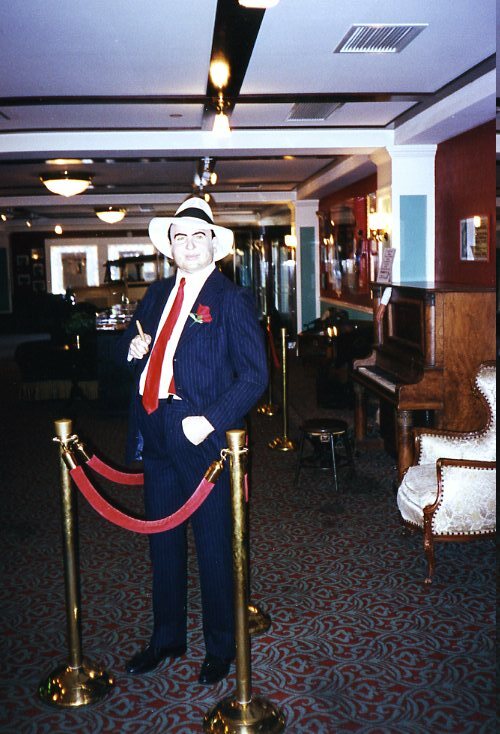 Michael was a passionate Capone collector who cared about this era. 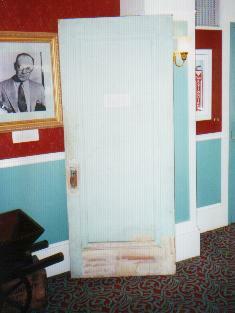 It showed when I visited the Capone museum back in 1995. The collection was impressive. I enjoyed it so much, that I went several times during my visit to Chicago. 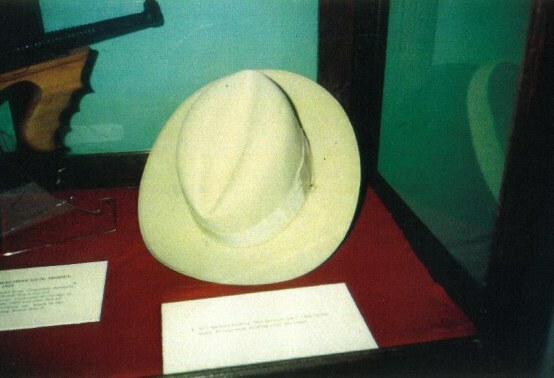 Capone's famous hat on display at Capone's Chicago. 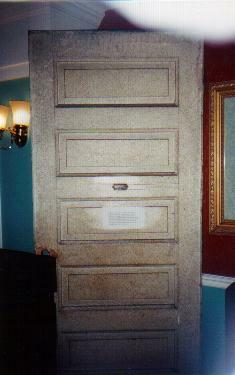 Al Capone's Lexington hotel bathroom door. relive the past by taking one of these fine tours.